Tunaenda Shuleni! We Are Going To School! I spent ten months in the rural village of Lyapona in Tanzania, East Africa and wanted to share my experience but will do it from a student’s perspective. I spent ten months in the rural village of Lyapona in Tanzania, East Africa. I was teaching English and mathematics to Forms one, two and three (9th, 10th and 11th grade). I wanted to share my experience but have decided to do it from a student’s perspective. As teachers, we can get so focused on curriculum, assessment, and policy that it is easy to forget to see things from a student’s eyes, whether in America or Tanzania. This story is told by a fictional student named Asinta, who is a composite of the lives and stories of my actual students. Imagine yourself sitting on a short wooden stool, next to a charcoal fire in a mud brick house with tin roofing, and open your mind and heart to what Asinta has to say. If I weren’t going to school, I would be digging in the dirt. I would be a farmer, married and most likely pregnant by now. As a 19-yearold girl living in rural Tanzania in East Africa, that is the expected life story. That was my mother’s story, my grandmother’s story, and my great grandmother’s story. But it’s not going to be my story. I am among the growing number of girls who are breaking out of the mold by going to secondary school. And I am incredibly proud of it, though it hasn’t been easy. “Hey, remember that day when we were carrying bricks for building the classroom and the snake crawled over Secy’s foot, and she jumped so high her head hit the tree?” Juma’s voice catches my attention. Godfrey and Charles are doubled over with laughter while Secy glares at Juma for bringing up that embarrassing moment. We are all sweeping the main grounds of the school with our brooms that we made by picking grasses and twigs. It is our morning routine to sweep after the 7:15 a.m. attendance call. I don’t remember that incident because I wasn’t there. The four of them are natives of this village while I come from one four hours away. They were a part of the group of students, parents and grandparents from Lyapona, the local village, who built this school three years ago. Before that, there was no secondary school here ever. Zilpa, the student timekeeper, rings the bell at 7:30 a.m. for the morning speeches. All 98 of us students gather on the main assembly ground, looking unified in our white collared shirts, blue sweaters, maroon skirts or pants, and black shoes. Beyond our school uniforms, we are unified in another aspect. We didn’t make it into the government-run secondary school. The Tanzanian government simply doesn’t have enough money to send all children to secondary school. Only the top 12% of students who finish primary school are eligible to attend the government-run secondary schools. All of us were in the other 88% that were told our school careers would end at seventh grade. And so it would be, if it weren’t for Village Schools Tanzania (VST), that believes that every child, no matter how poor or of what background, should be able to go to secondary school. People like Charles’ and Juma’s parents heard about Village Schools and asked for a school in Lyapona. VST agreed, saying that if the villagers build the schools, then they will bring the teachers and the books. “Eliza, you’re next,” Ibrahim, the head academic student calls out. I shoot my best friend a look of sympathy. We all dread getting picked for morning speeches, well except for boys like Musa and Evarist, who speak English really well. It is bad enough standing up in front of the rest of our classmates and having to make a speech, but now we have to do it in English, our third language. I grew up speaking Fipa, my tribal language, but started learning Swahili, the national Tanzanian language, in primary school. Now that we are in secondary school, we have to study English, the other national language of Tanzania. And it’s HARD! All of our classes like biology, geography and mathematics are in English. Many times, on the tests, it is not the question itself that stumps me, it is reading the questions in English and understanding what it is asking. Either that or finding the right words to answer it in English. “The factors that led to the decline of the transSaharan trade include the opening of new trade routes from Europe to West Africa, the construction of railways into the interior, and the increasing dangers of crossing the Sahara.” I smile at Eliza to encourage her. She always amazes me with her ability to remember these topics that she studied three years ago in form one (9th grade). I don’t like history and always struggle on the tests, but Eliza has an incredible capacity to remember these facts, in English, nonetheless. Eliza’s grandpa doesn’t believe that girls should go to school. He told her parents that Eliza must stay home and get married like a proper girl. But her parents, especially her mother, insisted on Eliza going to school. Eliza is glad that they sent her, even if it means her grandpa won’t talk to them anymore. She’s the top student in form three (11th grade), getting the highest average score on all the subject tests last quarter. Who says that girls aren’t good at academics? Eliza definitely is! Zilpa rings the bell at 8:00, the start of classes. I head to the classroom with the other 25 students in form three. We stay in the same classroom all day while the teachers come to this room when it is the period to teach their respective subjects. “Alright class, let’s discuss that group problem of circuits with parallel resistors. What solutions did you come up with?” Teacher Mathias is my favorite teacher, and I really enjoy his physics class. He does a great job of explaining concepts both in Swahili and in English and he is always checking in to make sure we really understand. For those who don’t understand, he will bring them in small groups to work with him in his office. Other teachers just come in, give a lecture, leave without really explaining anything, and then yell at us when we fail the test. Not Teacher Mathias though, he really cares, and he encourages us to work together. Even Miriam, who absolutely detests math and science, has done much better on her tests since Teacher Mathias came. He really wants us to be ready for the national exam and has the goal that we will have the highest scores in our entire region. The national exam is difficult. I should know because I took it already and failed. Well, only the form four exam. I have passed the form two exam twice, and I am really proud of that. You see, we have to take a national exam in form two (10th grade) and in form four (12th grade). The form two exam covers all topics in form one and form two. If you pass the form two exam, then you can go on to form three. If you don’t pass then you have to start over in form one. I passed form two, then did form three and form four, and then failed the form four national exam, the one that allows me to graduate secondary school. The form four exam covers all subjects from form one through form four; there’s a lot to remember! That was the day that Mama told Father that I must leave our village and go to school in Lyapona. Father was reluctant but he saw the wisdom in it. If I was going to graduate secondary school, I needed to be away from the demands of helping out at home and on the farm and be where I could focus just on my studies. It was a big sacrifice for them to send me. Not only because as the oldest child, I would no longer be there to help Mama with all the household chores and taking care of my six younger siblings, but the school fees would be twice as much and they would have to pay for a room for me to live in Lyapona. So that’s how I ended up at going to school in Lyapona. I had to start in form two again, take the national form two exam again, and now I am in form three. Next year I will be in form four and aiming not only to pass the national exam but get the top score in our school. That way I can show my parents that they made the right decision by keeping me in school and not marrying me to Uled, who offered my parents the bride price for me to marry him. Today we have physics for 80 minutes, then English for 80 minutes, then civics for 40 minutes before the 11:20 a.m. break. During the break, we all head to the peanut farm behind the school. Mama Adelah and her family have finished harvesting so whatever peanuts are left on the plants and ground is up for grabs. We stuff as many as we can into our mouths and pockets before the bell rings for the 11:40 a.m. class. Now we will have Swahili for 80 minutes and then geography for 80 minutes. “Hey Asinta, what did you get for that logarithm problem?” Isaya asks me. Teacher Hassan, our Swahili teacher, isn’t here yet; he is late for class as usual. But that’s OK because we usually spend any time we have no teacher working on homework assignments. “I got log 12. What did you get Isaya?” I like working with Isaya. He is a lot older than the rest of us. He is 39, married with two kids and another on the way. He owns the tiny pharmacy in the village but he comes to school everyday because he only finished seventh grade. He did go through a twomonth training program to be certified to open his pharmacy but he is so curious and wants to know more, and that is why he is here studying with the rest of us 16 and 17 year olds. At 2:40 p.m. the final bell rings, and we head out to the assembly grounds for announcements before going home. As soon as the teacher lets us go, we all take off running to the village, shortening the 25 minute walk. At our rented room, the three of us change out of our clothes and go our separate ways to get the chores done. I grab some charcoal and get the fire started and water boiling to make ugali, a cornmeal mush that we eat with our hands and use to scoop other food. Today we will have beans and cooked greens. I hear the students greeting the elders in the village as they pass by our room, the cue that it is time to go back for evening session. Every day except Sunday we go back to school in the evening from 4:30 p.m. to 6:30 p.m. and depending on the day of the week, we do something like clean the classrooms, have debate in English, or personal study time. Today is my favorite: sports and games. The boys play soccer and the girls play netball (like basketball but different rules). I am really good at netball, so good that I am the captain. Today, I rally the girls in a circle to do our passing drill. “Remember Emma to always have one foot on the ground!” I call out. “Esta, you can catch with two hands but only throw with one!” As the girls toss the netball to each other, I pause and marvel. It really is an incredible gift that each of us are here at school. I look around—Wini, Matrida, Jestina, and all my other sisters here have a different story. Each story is filled with sacrifice and challenges and countless reasons why we should have stayed at home instead. But here we are, sharing the same story of studying in secondary school. Now each of us will be rewriting our daughters’ story, our granddaughters’ story, and our great granddaughters’ story—that one day, every single girl in Tanzania will go to secondary school. Afterward: Honestly I have come back with way more questions than clear answers for my own teaching practice. One of my takeaways is that despite the poverty and the challenges the students face, the Tanzanian education system is highly rigorous, in some ways more rigorous than in the U.S. We should not let students’ stories, many of which reveal hardships and challenges, tempt us to go easy on them. Likewise, giving students more “adult” responsibility can better equip them for the future. Tanzanian students are the custodians, secretarial staff, time keepers, coaches, and counselors for their schools. In short, they are getting more “real-life” leadership experience than some American student leaders who are planning the homecoming week activities and the location for prom. Lastly, there are some instructional strategies where simple is better. My only teaching tools were chalk, the blackboard, and the students themselves. Obviously, every school structure is different but it does make me wonder how I can foster authentic student leadership and responsibility within my classroom as well as in our school and community. My hope is that by sharing Asinta’s “story,” it is a reminder that education truly is a gift and an incredible privilege. However, her story is not exclusive to Tanzania. Many of our own students in America face daily challenges coming to school, and as teachers, we can benefit from taking the chance to hear some of their stories. Feel free to share this story with your students and other colleagues as a starting point. 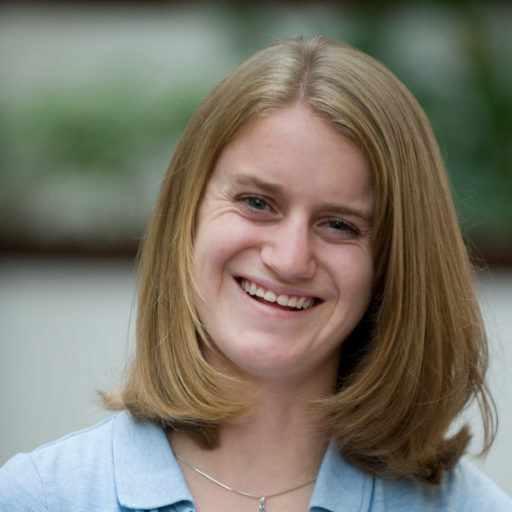 Lindsey Quinlisk is a Knowles Senior Fellow who taught math in Colorado. Before becoming a teacher she studied engineering with a civil specialty at the Colorado School of Mines. During the 2013–2014 school year, she taught at a rural school in Tanzania. Lindsay can be reached at lindsay.quinlisk@knowlesteachers.org. Quinlisk, L. (2015). Tunaenda shuleni! We are going to school. Kaleidoscope: Educator Voices and Perspectives, 1(2), pages 7-10.